Promotional campaigns for six European films – including two Irish co-productions – are being boosted with Films Sales Support (FSS) from European Film Promotion (EFP) at this year’s Sundance Film Festival (January 21 – 31, 2016). Rebecca Daly’s ‘Mammal’ and Pieter-Jan De Pue’s documentary ‘The Land of the Enlightened’ are both premiering in competition at the Sundance Film Festival. ‘Mammal’ will premiere in the World Dramatic Competition while ‘The Land of the Enlightened’ will feature in the International Documentary strand. Both films will be distributed by Wildcard Distribution and are set for Irish cinema releases in 2016. Dedicated to the discovery of new independent cinema from around the world and as gateway to the North American market, the Sundance Film Festival is one of the important festivals in the US. €25,000 towards sales companies’ campaigns has been earmarked by EFP in total to facilitate sales of European films to North America and to strengthen networking with buyers at the festival. FSS is backed by the Creative Europe – MEDIA Programme of the European Union. ‘Mammal’ is represented in Sundance by Germany’s sales company Picture Tree International while ‘The Land of the Enlightened’ is represented by German sales company Films Boutique. Pieter-Jan De Pue’s documentary ‘The Land of the Enlightened’ which was produced by Irish producer Morgan Bushe for Fastnet Films, charts the complex Afghani war economy told through the eyes of the children who have found themselves caught up in the on-going American occupation. ‘The Land of the Enlightened’ is an Irish/Dutch/German/Belgian co-production. 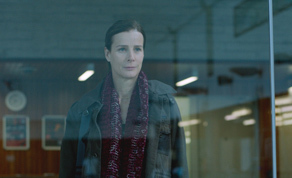 ‘Mammal’ starring Academy Award nominated and Golden Globe winning actress Rachel Griffiths (‘Six Feet Under’, ‘Muriel’s Wedding’) and rising Irish star Barry Keoghan (‘Love/Hate’, ’71) was directed by Irish filmmaker Rebecca Daly (‘The Other Side of Sleep’) and co-written by Daly and Glenn Montgomery. The film was selected as part of the first Berlinale Residency, a programme organised by the Berlin International Film Festival to support writer/directors develop their new projects. ‘Mammal’ which co-stars Michael McElhatton (‘Game of Thrones’) and Johnny Ward (‘Love/Hate’) is the story of a woman (Griffiths) who has lost her son and develops an unorthodox relationship with a homeless youth (Keoghan). Their tentative trust is threatened by his involvement with a violent gang and the escalation of her ex-husband’s (McElhatton) grieving rage. ‘Mammal’ was produced by Macdara Kelleher and Conor Barry for Fastnet Films (‘Strangerland’, ‘Kisses’, ‘What If’) and was funded by the Irish Film Board (IFB), Luxembourg Film Fund, BAI, TV3 and the Netherlands Film Fund.